We'll help you say goodbye to your #FOMO at the biggest teen event this year! We know you're all pretty excited about this year's Candy Fair and we can't blame you. We've got Candy Cuties ready to make you smile, awesome bands to jam with all throughout the day, and amazing workshops from some of the best crafters out there. But how do you get tickets for this year's biggest teen event? 1. Score regular passes for only P200 via SM Tickets by clicking here or by visiting any SM Cinema or SM Department Store outlets near you (click here for branch details). 2. Regular passes not enough? Get VIP access to the event by subscribing to Candy Magazine. 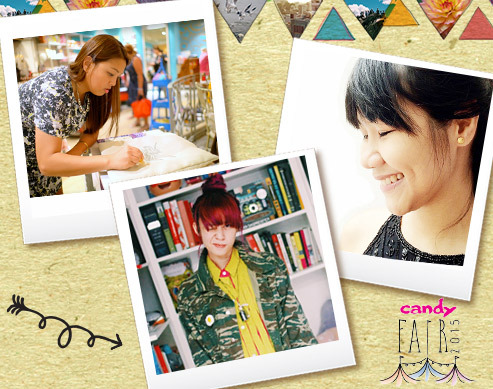 From August 12 to September 9, get free tickets to Candy Fair 2015 by subscribing (or renewing your subscription) to Candy's print or e-mag issues. Every paid order entitles you to 2 regular tickets for a 6-month subscription, or 2 moshpit tickets for a 1-year subscription. To subscribe to Candy, just go to www.summitnewsstand.com/candy or email us at subscriptions@summitmedia.com.ph. You may also call (02) 451-8888 local nos. 1086, 1011, and 1092, or drop by the Summit Media office at 7th Floor, Robinsons Cybergate Tower 3, Pioneer St., Mandaluyong City. 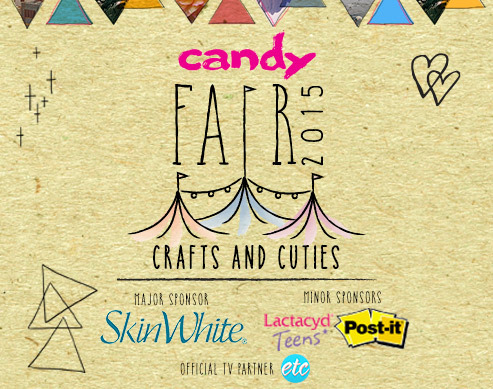 We can't wait to see you at the Candy Fair on September 12, at the Metrotent, Metrowalk. Wear your artsy #OOTDs and get ready for the all the fun activities because this is our 10th, and biggest Candy Fair yet. See you there!